Arlington National Cemetery and Memorial Day. Arlington and the tradition of Memorial Day were born out of ironies. Perhaps we might even consider them as tragic or dramatic as in a Greek or Shakespearean irony. Irony-The land was ordered for military use by a general who so hated that Confederate general that he ordered graves dug in the rose garden so that house could not longer be habitable. Between 1861 and 1865 our country sorted out whether it could survive as one or two separate nations. 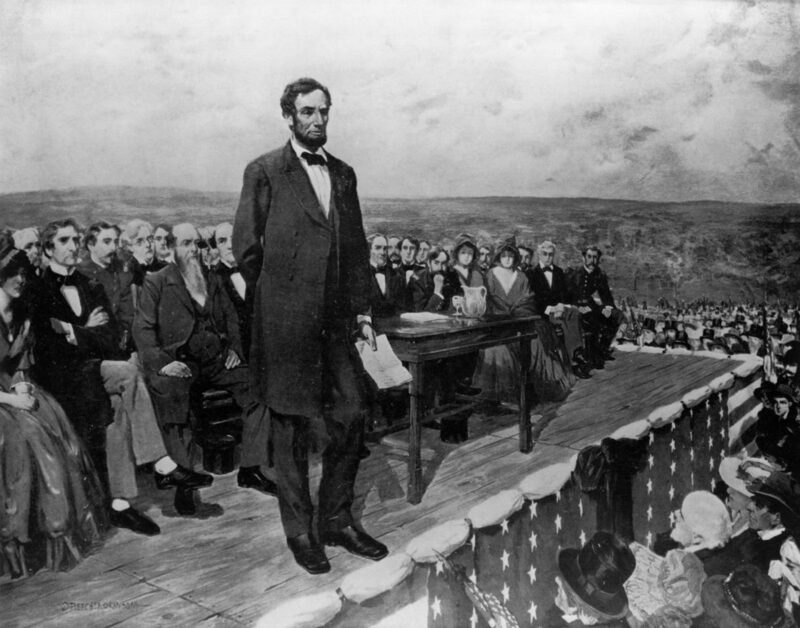 It took the tragedy of a Civil War to make us truly a “United” States. In the spring of 1864 after some of the bloodiest battles of the war and with the Confederacy in it’s last desperate months, the need for more military cemeteries became a paramount issue in Washington D.C. In the days before refrigeration, and especially in the humidity of the District of Columbia, bodies had to be buried as quickly as possible. 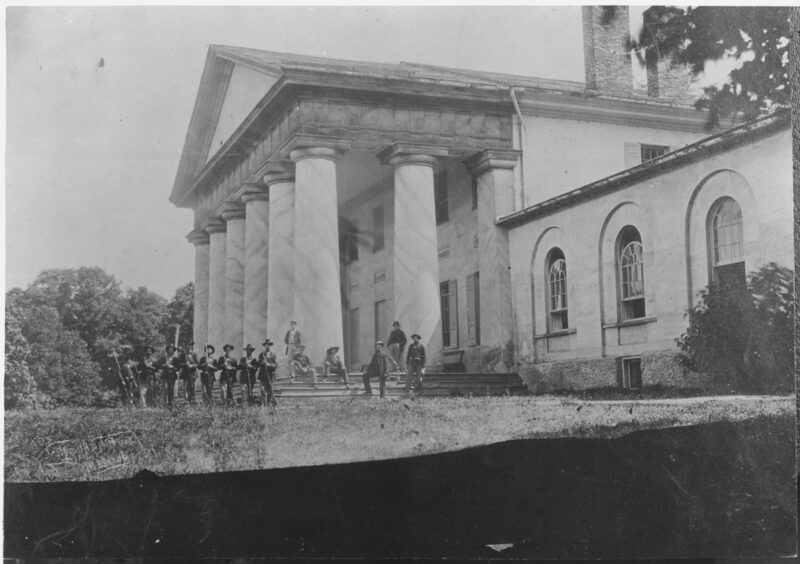 The mansion, which had belonged to Robert E. Lee, commander of the Confederate Army, was under the control of Union forces. Meigs (a Georgia man by birth) picked the grounds not only because he felt Lee had betrayed his country by leaving it to serve the south but also because he blamed him for the death of his son who had been killed by Confederate soldiers, supposedly murdered. The interment of Union soldiers began in May, Ironically the first burial in the Union cemetery was a Confederate soldier. 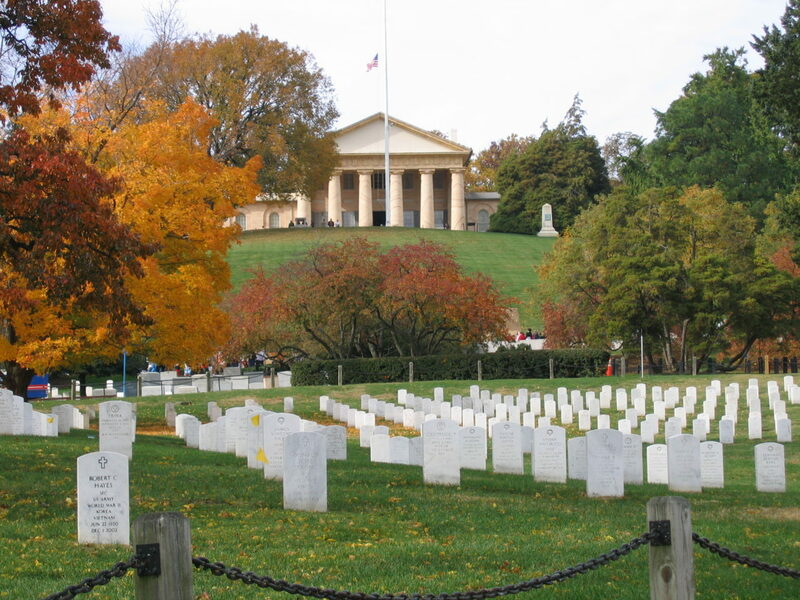 The grounds would go on to become Arlington National Cemetery our nation’s most hallowed ground. No one can trace with any certainty the origin of the Memorial Day, it is well believed that the day was born with those who decorated the graves of civil war dead. Many towns (Waterloo NY being the most prominent) have laid claim to the origin of the tradition. It may have started with women in the South. Originally it was know as Decoration Day. 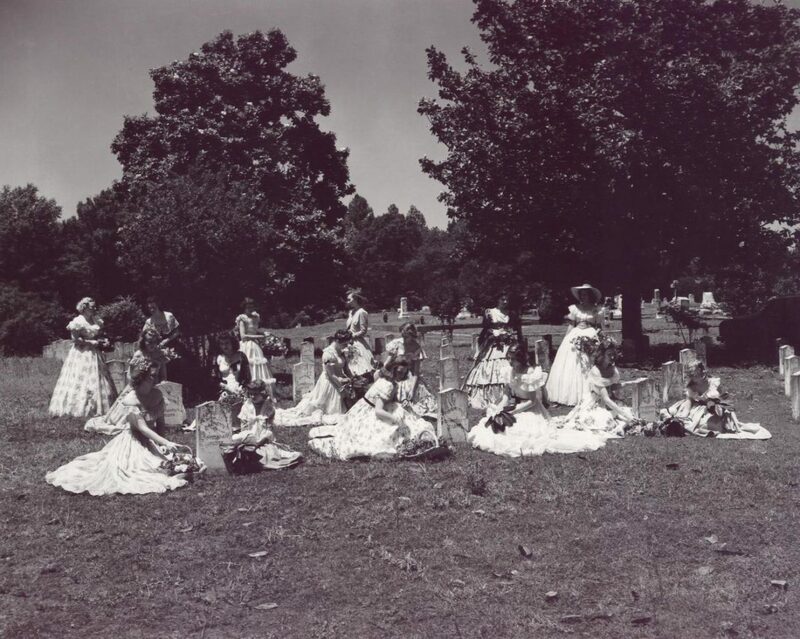 Towns held parades honoring the fallen, the parade routes often times ending at a local cemetery, where Decoration Day speeches were then given. People took the time that day to clean and decorate with flowers and flags the graves of those the fell in service to their country. In the 150 years since the Civil War, our nation has healed its wounds and every Memorial Day pauses to remember the war dead. In that time Arlington National Cemetery and the the traditions of Memorial Day have gone hand in hand. In 1912 the country was truly reunited when the Confederate monument was dedicated at Arlington and a special section was set for those who served in the Confederate Army. The cemetery which was set to honor Americans ironically today holds the remains of many foreign nationals including a German soldier from WWII. There is a wonderful myth about the origin of Taps. During the Civil War, it says, there was a young soldier who was killed while fighting for the Confederacy. His father, a captain in the Union Army, came upon his son’s body on the battlefield. In the pocket of his uniform, the captain found the notes for Taps. Ironically, this story will be repeated on Memorial Day. 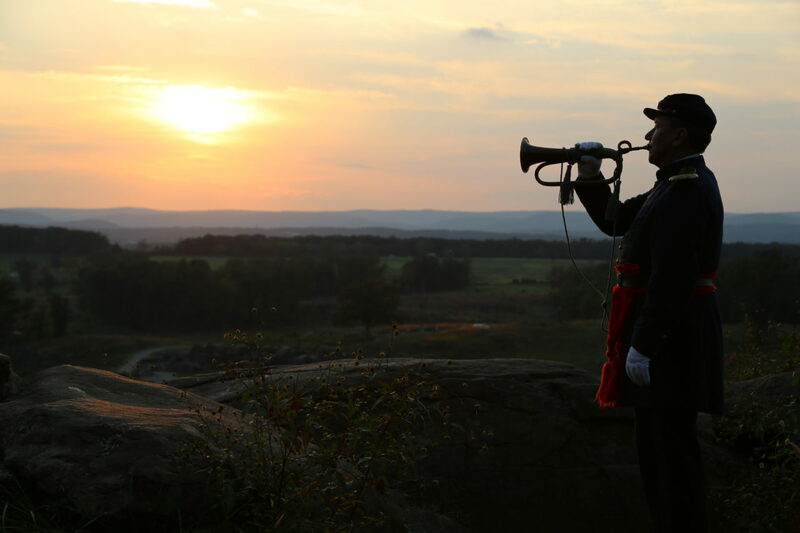 This entry was posted on Saturday, May 27th, 2017 at 8:00 am	and is filed under Bugle Stories, Buglers Through History, General Interest, History of Taps. You can follow any responses to this entry through the RSS 2.0 feed. Responses are currently closed, but you can trackback from your own site.